First language is a language that one acquires from birth and a second language is a non-native language usually learned at a later stage. 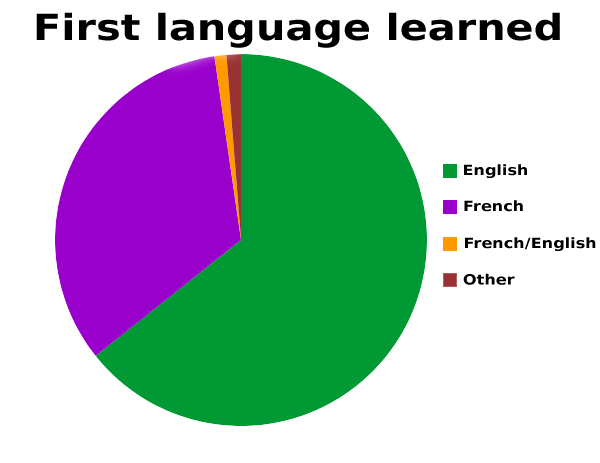 In a nutshell, native languages are regarded as first languages whereas non-native languages are referred to as second languages. This article looks into the difference between the first and second language. What is a first language? A first language is a language that babies acquire from birth until about 7 or 8 years old. They can keep learning the language even after those years to master all the idiomatic expressions, sentence structures, and many more areas. Kids learn the language naturally and effortlessly by listening to their parents communicating with it to them, or even listen to other kids conversing with it. There are babies born out of parents with different linguistic backgrounds. If, for example, a dad is French and a mom Spanish, the baby might be exposed to those languages at the same time. In that case the baby is said to have two first languages. They can master both languages as they grow acquiring it. First language is often assigned the letter L2 by linguistic professionals. But because kids acquire it naturally does not mean they should not learn it. Their learning can be reinforced in the classroom to emphasize the knowledge of grammar rules, idiomatic expressions, metaphors, syntax, and many more concepts. A second language is a language usually learned at a later stage. It is a non-native language. There is no limit of second languages that one can learn. One can acquire many languages often abbreviated as L2, L3, and L4… A second language is non-native, and it is challenging to be fluent in it. Those who are proficient in a second language are often referred to as “near-native” speakers. A second language can be any language as long as it is not a mother tongue or native tongue. The process of learning this is active and demands lots of efforts to familiarize yourself with grammar rules, sentence structure, pronunciation, vocabulary and many more concepts. In countries where English is not a native language, for instance, school kids are often taught English as a compulsory second language so they can integrate with others in the corporate world. Second language is a language learned at a later stage after a mother tongue. First language, on the other hand, is a language acquired by babies naturally from their parents. They can have double first languages as a result of parents emanating from varying linguistic backgrounds. A first language is not complex because it is acquired naturally and effortlessly. One masters grammar rules from an early age. Although it may be learned further in the classroom for mastery purposes, a first language is less complex. 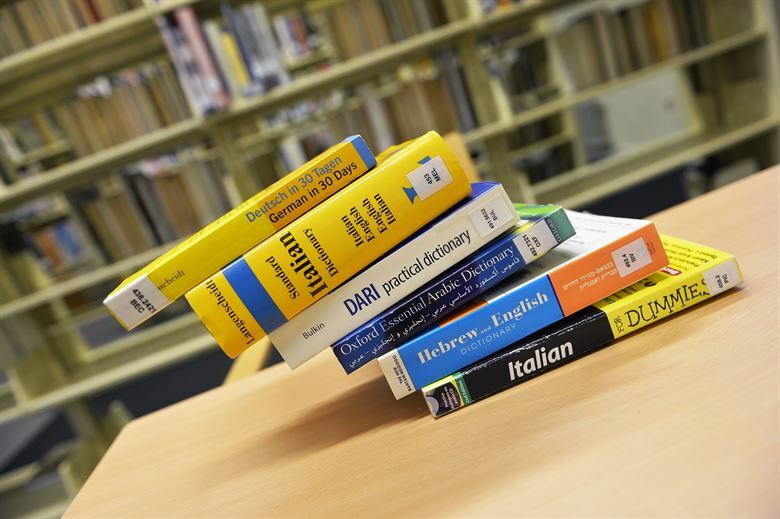 A second language is, however, a complex language because it seems as a foreign language where one has to start from scratch acquiring basic concepts. A first language is learned from birth by listening to parents conversing with it. A second language, on the other hand, is often learned in the classrooms, online tutorials, listening to others speak in a different linguistic environment or foreign country. There are many ways through which a second language can be learned. Anyone who converses fluently and proficiently in a second language can be regarded as near-native speaker. Lusi Madisha. 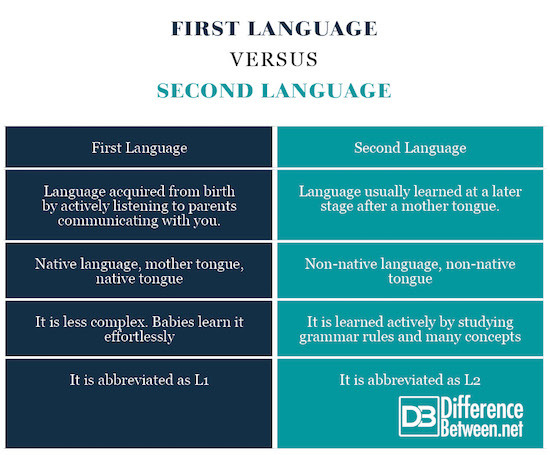 "Difference Between First Language and Second Language." DifferenceBetween.net. July 30, 2018 < http://www.differencebetween.net/language/difference-between-first-language-and-second-language/ >. The explanation is good, because it is stated very clearly so that it is easily understood by the reader. Thanks and success to you. Jürgen M. Meisel (07 Jul 2011). First and Second Language Acquisition: Parallels and Differences. Cambridge University Press. Assoc. Prof. Miles Turnbull, Assoc. Prof. Jennifer Dailey-O'Cain (24 Aug 2009). First Language Use in Second and Foreign Language Learning. Multilingual Matters.